We had a keysigning party at work today, and after it finished a few of us were looking for a way to visualize the newly increased signature density. It turns out the best tool for the job is called sig2dot, which is available in the Debian repositories (and as a Perl script on its homepage). In both cases, I’ve reduced the size of the graph a lot intentionally so the names are unreadable, but I’m looking at them locally at full size. 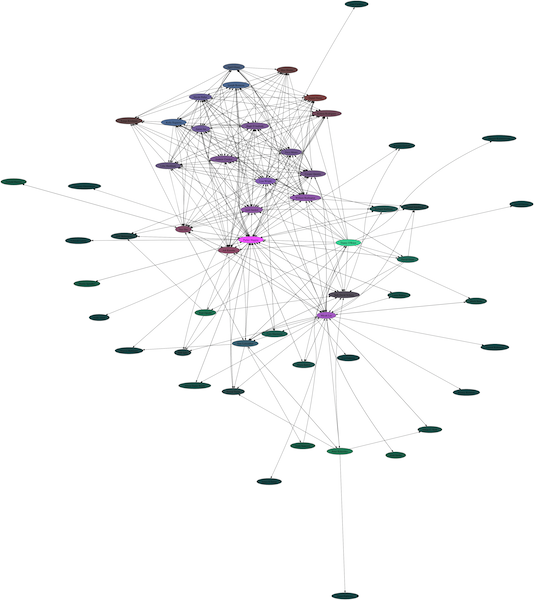 In each case I’m the bright pink node in the middle. In the second graph, the keysigning party is clear as the dense patch in the top.